How to Leverage the Top Channels of Internet Marketing? 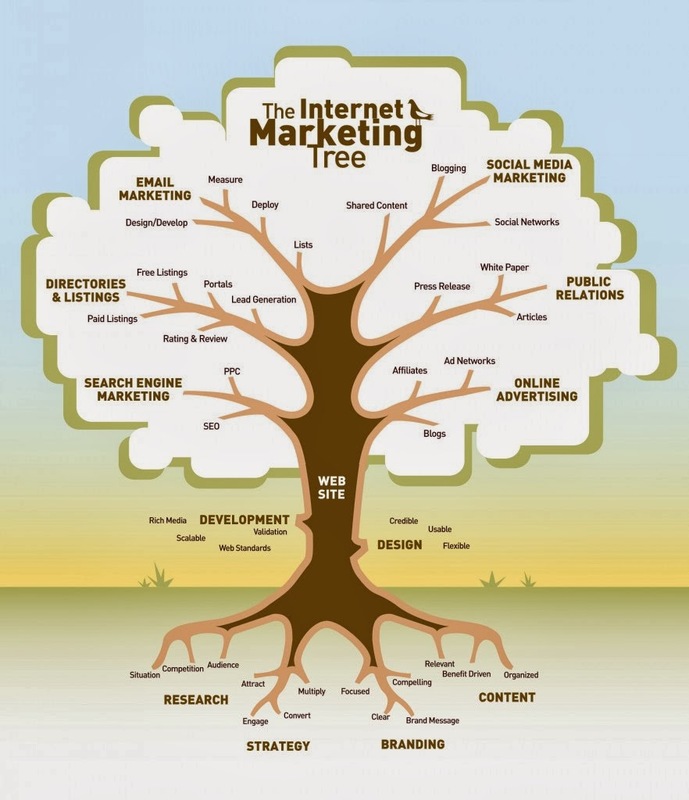 The term internet marketing has grown by leaps and bounds in the recent years. The biggest factor contributing to its success is the low budget and higher returns. Among all the channels of marketing, internet marketing has an amazing number of audiences due to its nature of providing excellent return on investment (ROI) even for small business owners. Internet marketing has several channels and each one of them has their own tactics of revenue generation. Let us discuss the top channels of internet marketing along with the tactics to get the highest returns on investment. The biggest and the most important part of internet marketing is search engine optimization. SEO is a technique which increases the website’s ability to perform in the search results. It helps the site to grab a lot of organic traffic which converts well thereby providing revenue to the business owner. One of the biggest advantages of SEO is that it covers a long term investment and makes the website relevant and popular so that it starts to rank higher in the search results pages. · Work with an experienced SEO consultant who understands how search engine works and also understands the algorithms which works behind the scenes for ranking sites. · Consider SEO as a long term investment and don’t expect immediate results. · Make changes on your site as and when required and always work towards increasing the brand value of your site. · Follow search engine guidelines. · Think of the user and not of the search engines. The biggest factor of success is “search engines follow the user, so if you follow the user, search engines will automatically start following you”. · Keep a check on the Google Webmasters Tools and Google Analytics to see how your site is performing in search results. · Make a habit of adding unique content on your site on a regular basis. · “SEO+SMO is what makes true SEO”, follow this motto for enhanced visibility. · Enable multi channel funneling with the help of Google Analytics and start tracking conversions. · Trust your SEO consultant as he/she is the only person who can guide your site to success. Do not deviate from your main goal of increasing site revenue and proceed as per the instructions of your SEO consultant. Social Media sites like Facebook, Twitter, Pinterest, LinkedIn, My Space, Stumbleupon etc have grown tremendously in the recent years in terms of audience reach. Leveraging the power of social media will compliment your long term SEO efforts and help you to succeed in the internet marketing space. · Think of your brand while promoting your site on social media channels. · 3 Musts are Facebook Page, Twitter Account and Google plus Page. · Engage with your audience and share comprehensive feedbacks with them. · Always add value to the posts you share with your intended audience. · Do not always promote your company but instead feed the needs and passions of your audience. · Respond well and respond clearly. · Remain active as all the factors are associated with this single most important factor. Brands that have investment power often tend to start with search engine marketing for getting instant results. Search engines like Google, Yahoo, Bing, Ask etc offer sponsored listing for specific keywords and locations which helps the business owners to reach their intended audience in the shortest time. SEM is a great channel of marketing and most of the bigger brands are already active here. It is recommended to hire the services of PPC companies in order to get the best results and a greater ROI. Also, considering the growth of mobile searches, Adwords is the best PPC network that any business should adopt for targeting mobile and tablet audiences. Locally targeted, relevant business ads can be displayed extremely easily using Google Adwords. · Study the company goals before starting the SEM campaign as an incorrect start may result in huge loss. · Identify goals and conversions and get your analytics ready before the start of SEM campaign. · Keep an eye on conversion rate. · Follow search engine guidelines as a violation may result in a ban. · Analyze your returns on investment. · Work towards landing page optimization. AB testing can work best here. · Study the audience engagement by utilizing various social tools. · Take the help of SEM expert to assist you in proper bidding strategies. · Make sure to localize your ad area if you are a local business owner. · Identify timings and days when the maximum conversion occurs and try to follow the pattern. · Identify the ideal age group of your targeted audience and find out sites that have the maximum visitors based on that age group. · Select your ideal audience age group before running your ad. · Make the ads visually impressive. · Follow the site guidelines and never violate them. · Measure the return on investment by implementing proper analytics. · Analyze the time when your targeted audience remains the most active and run your ads during that time. Contextual advertising offers ads based on the content of the site. Hence, this form of advertising offers an unlimited scope of reaching a wide variety of audience in a shortest time period. Google Adwords is the most preferred channel of contextual advertising but there are several other channels that are worth considering. Some of these include Chitika, Adbrite, Clicksor, Infolinks, Eclikz, Kontera etc. This channel should not be used as a standalone strategy but instead should be used along with the other channels in order to get the maximum advantage. Affiliate marketing is one of the oldest forms of marketing and works on the concept of “you sell my product or refer someone and I will offer you a share out of my income”. Hence, for affiliate marketing you should form a separate strategy to network with affiliates in order to market your products and services. This channel works best along with other channels in order to reach the maximum audiences who are willing to accept a share in your revenue. Now, here comes the most interesting part of the entire article. I will share some secrets which the top brands follow in order to have their plan executed properly. Top brands always make it a point to test the success of every marketing campaign. Tests can be made successful by inserting tracking codes and making use of tracking tools like Google Analytics and Clicktale. Conversion of traffic to leads is a vital aspect of successful internet marketing strategy. Remember, inserting just the tracking codes won’t do much. It’s important to test the tracking codes, track the important variables like bounce rate, conversions, unique visitors etc. Google Analytics is a great tool that lets you measure conversions. Top brands utilizemulti channel funnels to track each and every channel which are contributing towards conversions. Making a proper plan and executing it efficiently are two different things. The top brands not only prepare an excellent plan but also take vital steps to execute it properly. When all the departments of a company wok in sync with each other, all the strategies that are planned tend to deliver excellent results to the company. Hence, effective execution is the key!